For many people, successfully landing a job interview is only a small part of their path toward a new position, because there's a lot of prep work and confidence that goes into getting the actual meeting itself exactly right. However, it's understandable for just about anyone to be nervous because of how big of a change a successful interview actually represents. Although many people have nervous tics or the like when they aren't fully comfortable, interviewees should go into a meeting with an air of confidence, according to Inc. Magazine. That means having their backs straight, making good eye contact, having a firm handshake, not fidgeting in their seat, and so on. While this isn't always easy, it's certainly something to be conscious of because an interview is all about making a great first impression. The good news is that interviewees can keep in mind that they've been selected for a meeting because the company is intrigued by what they bring to the table, so they're already getting off on the right foot. As with many other aspects of the job search, most interviews aren't grueling or unfamiliar for anyone who has much experience looking for a new position, Inc. added. To that end, a lot of the stuff people will talk about in interviews - even the otherwise unconventional ones - will often be pretty similar. For instance, interviewers almost always ask about instances when candidates have succeeded or fallen short of reaching their goals, and why that may be. Having a good idea of what to say is often a sign the person has put a lot of thought into what benefits they can provide an employer. 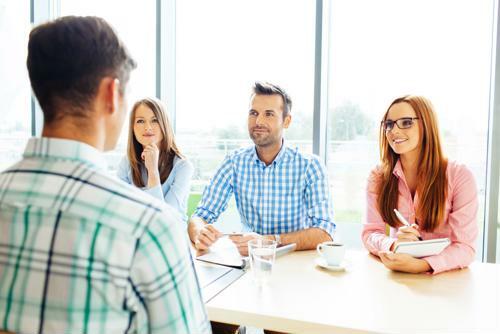 Along similar lines to the above, when interviewees know at least a few questions that are likely to be asked, they should practice answering them as quickly and confidently as they can, according to Career Metis. Working on some basic interview questions with a friend, family member or partner could help them prepare for the job, especially if that other person isn't afraid to throw a curve ball or two, to help improve thinking on one's feet. At the same time as interviews are being practiced, job seekers should also try to focus on highlighting negative things about their work histories in a more positive light, Career Metis noted. When asked about a time they struggled in their old positions or may have even gotten fired, there may be plenty of ways for job seekers to stay positive. As hinted at above, hiring managers aren't looking to play "gotcha" with interviewees, according to Monster. In fact, they often strive to make interviews as comfortable and accommodating as possible. With that in mind, while nerves are an understandable part of the process, they don't have to be as big of an issue as some might otherwise think.